Seller advises there are no known issues with the boat, everything is in working order. - Rebuilt motor 2014 - New upholstery 2014 - New bimini 2014 **I have not inspected this vessel in person. All pictures and information were provided directly by the seller. Please don't hesitate to contact me with any specific questions you may have, to discuss an offer, or schedule a showing. Stock #097206 MOTIVATED SELLER, BRING OFFERS!! 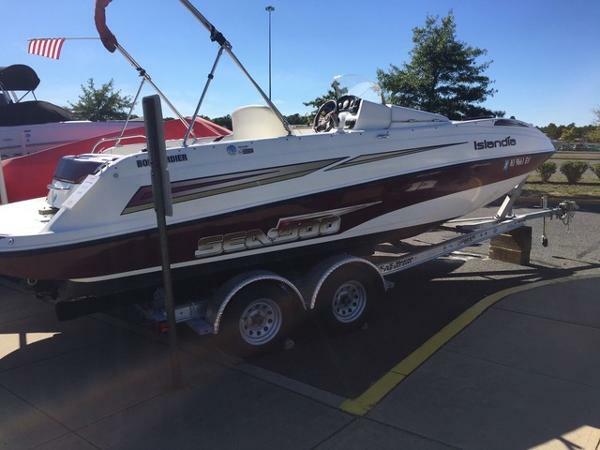 If you are in the market for a jet boat, look no further than this 2003 Sea-Doo 22 Islandia, just reduced to $13,500 (offers encouraged). 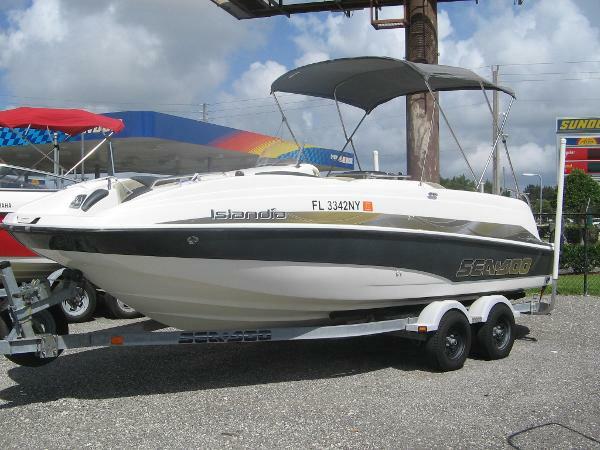 This boat is located in Homestead, Florida and is in good condition. She is also equipped with a Mercury engine that has only 80 hours. Reason for selling is moving. 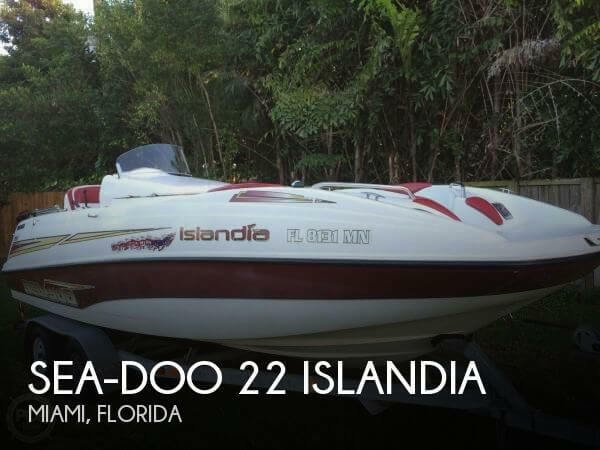 not using much..
2003 Sea-Doo 22 Islandia Very clean. Almost looks new. Low hours and priced to sell. Call for an appointment, and thanks for viewing. 2008 Sea Doo 22 Islandia Twin Rotax, 4-TEC, FWC, ONLY 85 hrs!! With Bimini Top, Full Boat Cover, Head Compartment & Trailer. 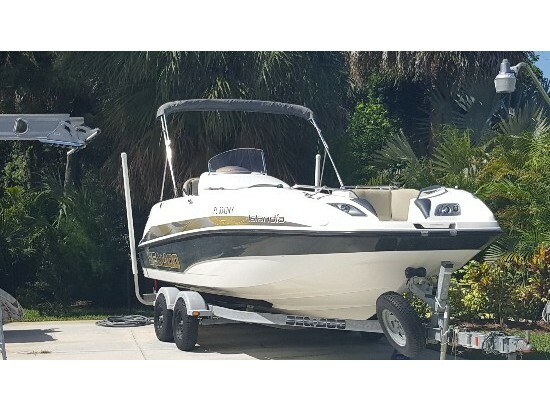 2008 Sea Doo 22 ISLANDIA, This Seadoo Islandia has bee operating in the waterway of St lucie county for 7 years. The motors have less then 100 Hours. Upgrading to a larger boat as the family is larger now. Boat is fun to operate and will pull tub or ski. new $580.0 boat cover trailer upgraded to independent suspension. Trailer in great condition. $21000 includes trailer and new boat cover.